Soooo I know I’ve been MIA lately… but obviously life has been a little bit hectic for me! 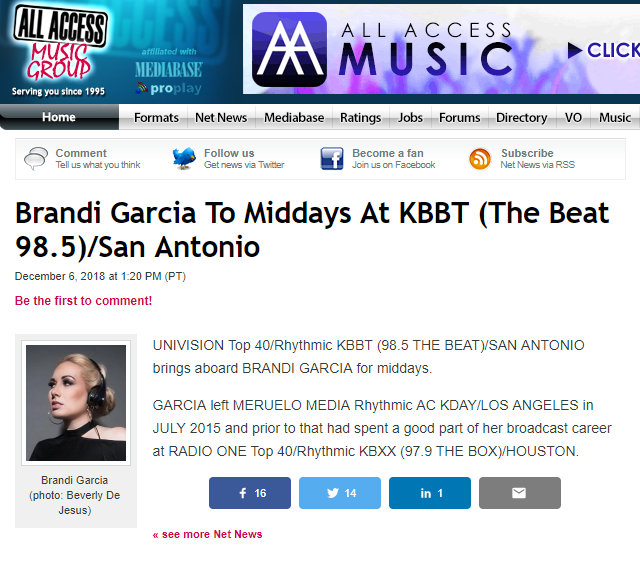 Just moved to San Antonio after accepting the Midday position at 98.5 The Beat. Am so excited to be a part of the Univision family and to be back in Texas. Learning my way around town and most importantly happy to be back on the air! Make sure you guys tune in Weekdays 10am-3pm. Hope you are having a great week! 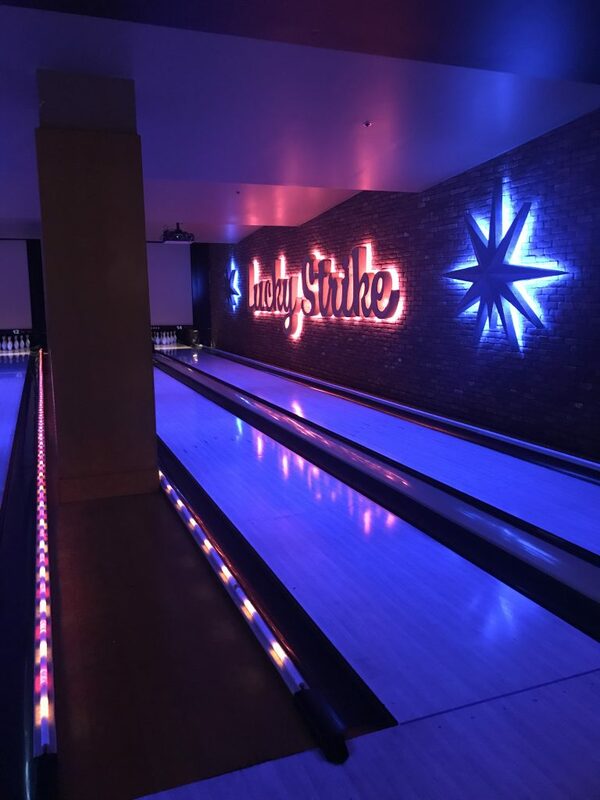 Wanted to invite you out to a fun night of bowling, food, drinks, and good music provided by yours truly this Friday night from 9:30pm – close at Lucky Strike Downtown LA Live. Mark your calendars for these super fun dates in September! Hope you’re all having a great March so far! Excited to invite you to a super fun St. Patty’s Day event on Saturday the 17th at Lucky Strike L.A. Live in downtown LA! 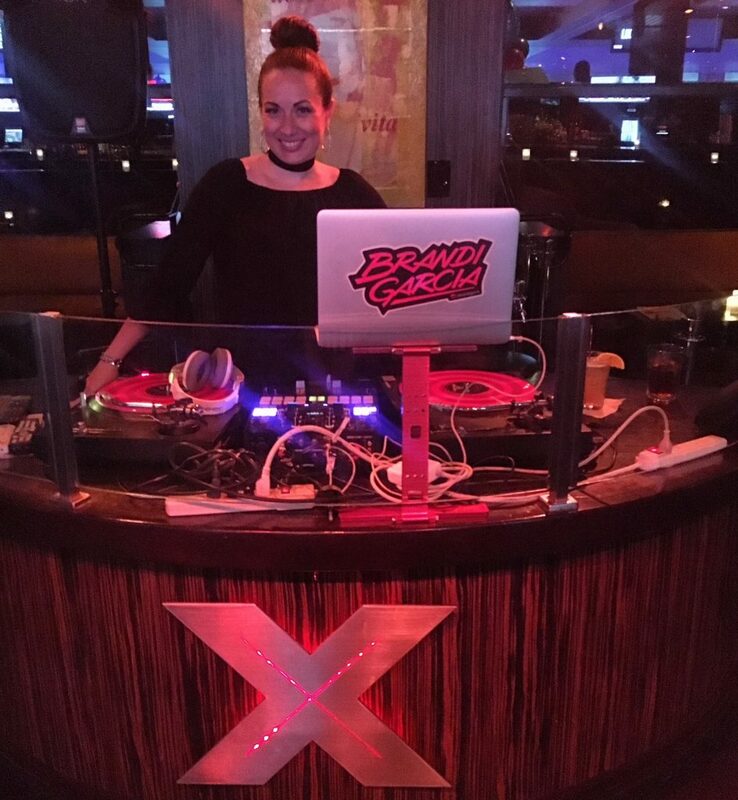 I’ll be in the mix from 9:30pm – close. Come out for beer & bowling! 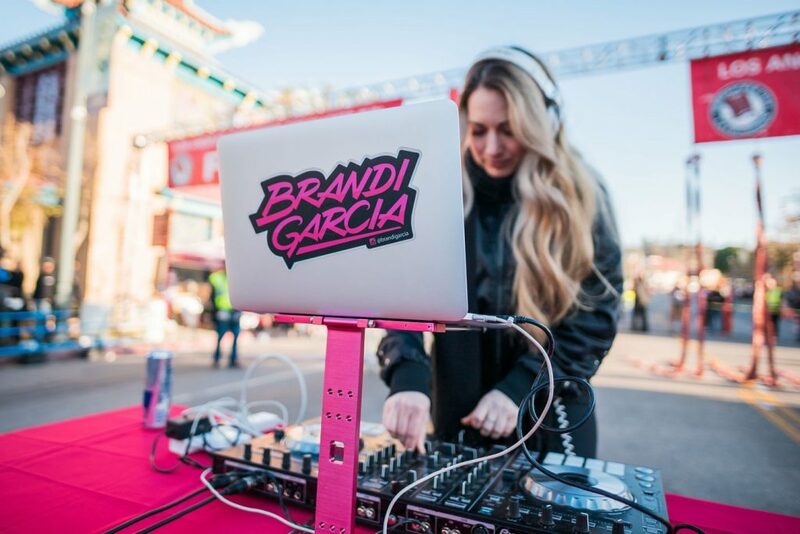 Also this Saturday I’ll be in the mix poolside at the Marriott Anaheim from 5-10:30pm so get ready for some fun springtime vibes! 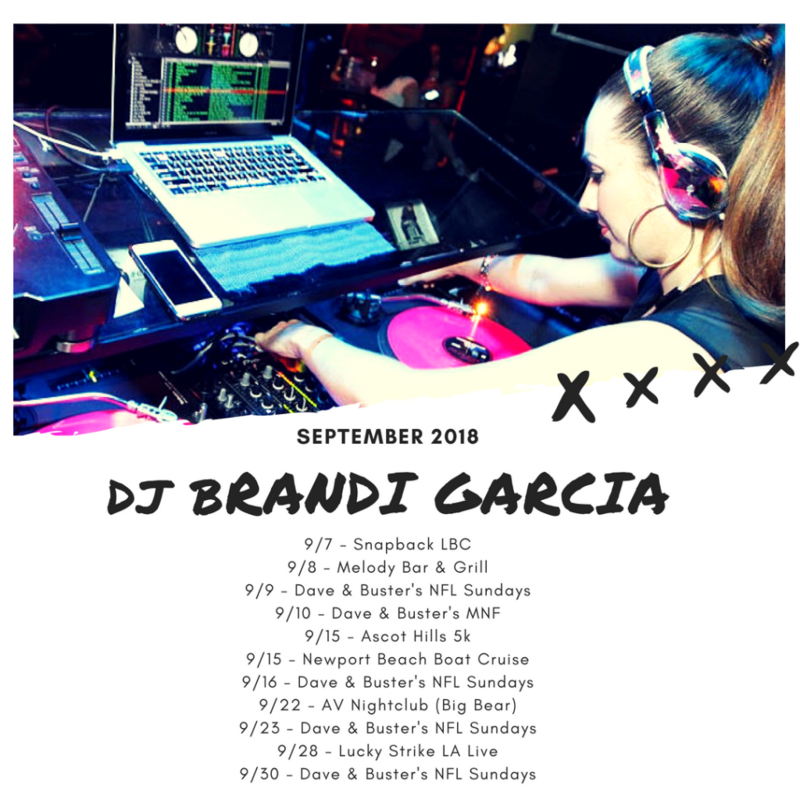 Mark your calendars as I’m back in action and would love for you to join in on the fun! 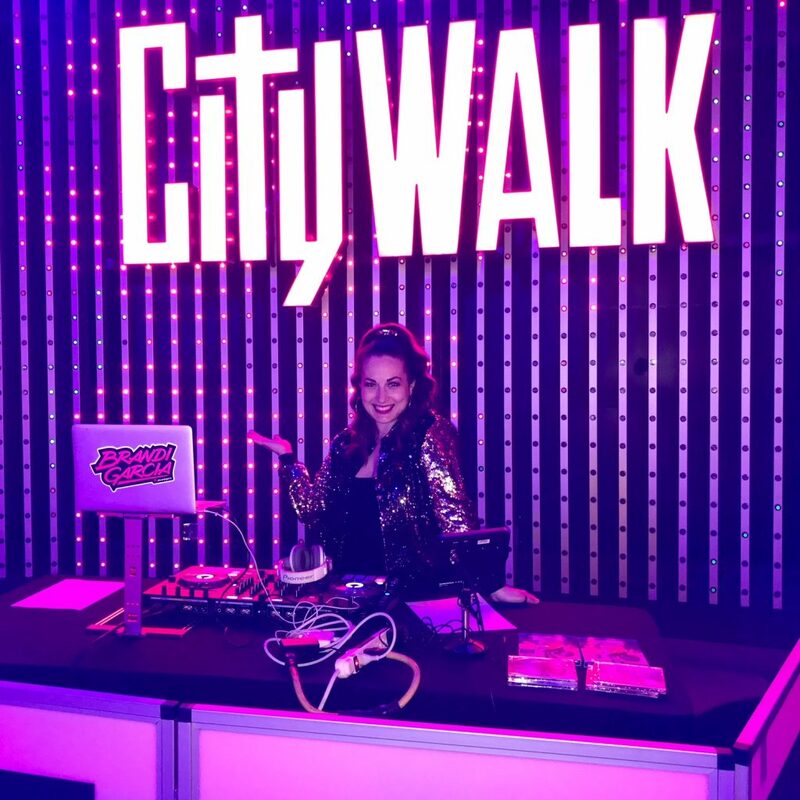 Catch Brandi Garcia for some 2017 Holiday Fun at CityWalk!